Our form of microdermabrasion is our crystal free, diamond tipped machine.The Microdermabrasion process removes dead and flaking skin and stimulates the production of young skin cells and collagen. It’s the ultimate advancement and most popular treatment among non-invasive, non-surgical skin conditioning. 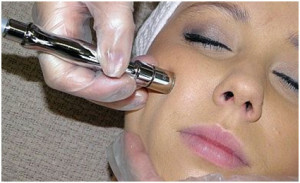 The machine uses diamonds and suction to exfoliate the skin instead of using crystals. The diamond can remove up to 80% of the stratum corneum, the top layer skin. The diamond method is four times harder than the crystal. Unlike the crystals, the diamond machine does not create heat and inflammation on the skin. This means it is great to use on vascular and inflammatory conditions, such as acne and even sensitive skin types. 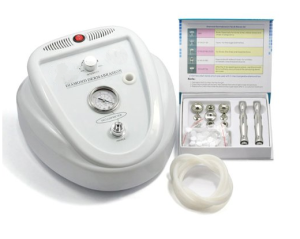 Purchase your Microdermabrasion treament now! This entry was posted in Reviews and Compliments and tagged daySpa, Micro, microdermabrasion, Skinresurfacing, spa.